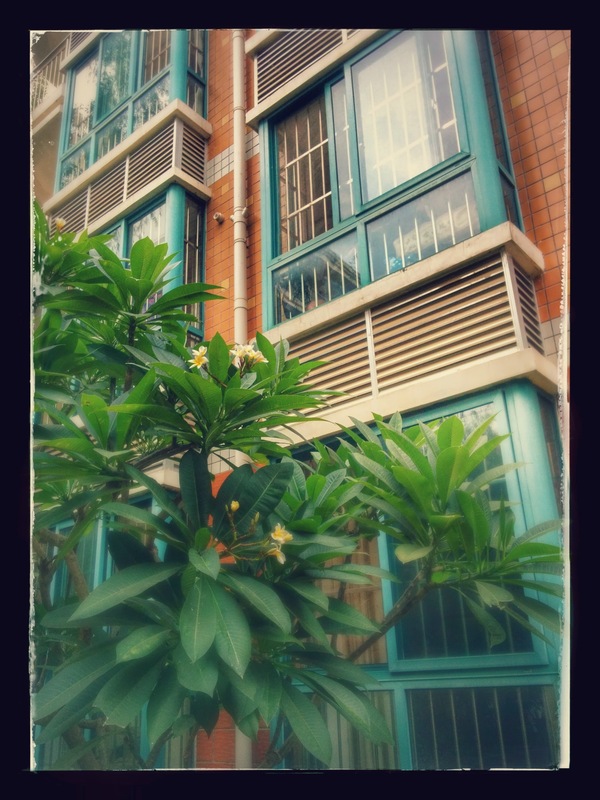 We just moved back into our 2nd floor apartment here in the little town of Jingxi. This is a true 2nd floor (at least true to how Americans number the floors of a building), not the sneaky 2nd floor where they don’t count the scooter parking and you’re really on the 3rd story. Anyway, moving back and visiting friends who live on other floors has caused me to remember the pros and cons of 2nd floor living. 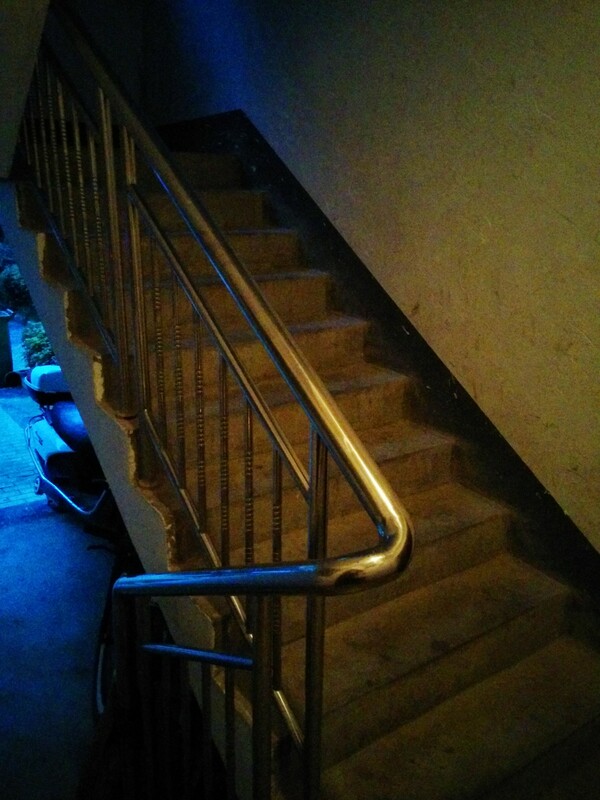 Just one flight of stairs between the ground and my front door. This is huge, my friends. It affects daily life. I am grateful for it each and every time I have to haul groceries, a bike, cranky kids, or my own sweaty carcass up the stairs. My friends are grateful that they’re not hiking up Mt. Everest every time they come to visit. If I forget something, it’s just a short hop up the steps to get it. I had a friend who lived on the 7th floor (no elevator) who was seriously considering some kind of bucket-pulley contraption for times like that. Not that the rent is cheaper, but things getting delivered to you are cheaper and easier. The kuaidi guy will bring stuff right to your door, even large packages. The guys delivering a new fridge or furniture won’t tack on an extra fee, as they might if you lived higher up with no elevator. 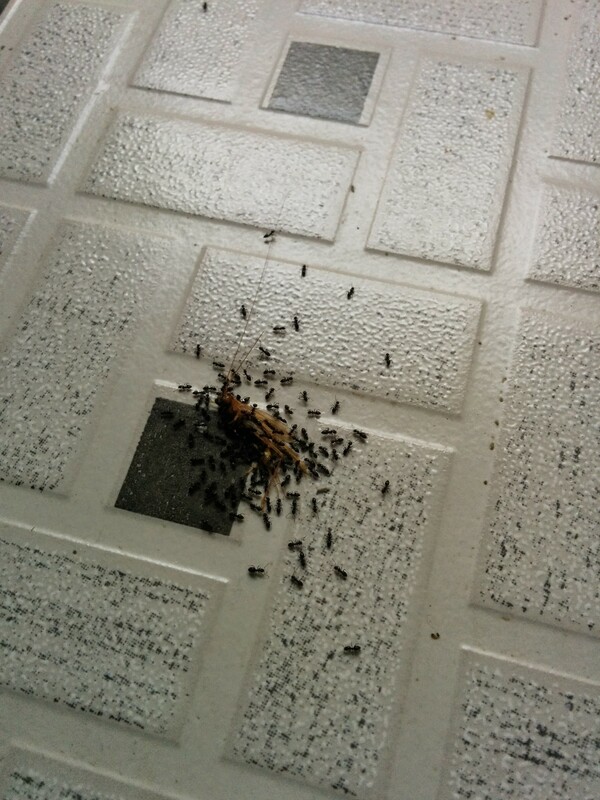 A cricket died on our kitchen balcony, and the ant clean-up crew arrived a little too quickly. If it’s easy for my friends and delivery guys to just climb one flight, it’s also easy for entire ant and roach clans to scale their way up. And guess who else has an easier time getting into a lower level apartment? This may only be true in the south, but it seems that higher-up apartments are drier, sunnier, and breezier. The lower you are to the ground – and the closer to all the many plants surrounding the building – the wetter and stuffier your place can be, which can lead to nasty mold problems. Additionally, when spring comes and the walls of the buildings are sweating, all that water drips down. There’s no insulation or double-paned windows around here, which means street and sidewalk noises come right in. In our 4th-floor apartment in another city, I remember being treated to the raucous sounds of late night drinking games, all in Cantonese. I’ve never quite figured out where those guys were gathered for those games, but they were so loud that they may as well have been sitting in our bedroom. In this apartment, we’re close to the main plaza area, so weekend nights are filled with enthusiastic cheers from volleyball games, or the music of the dancing nai-nais. Not as interesting as drunk Cantonese, perhaps, but it’s something to consider if you’re a light sleeper. Another 7th-floor friend said that she is still bothered by noise even that high up, so you might have to be something like 15 or 20 stories up before this issue goes away. Fancified view of my kids’ bedroom windows. Yup, you can pretty much see right in. But, hey, plumeria! People walking by can see us if we’re on our balcony, and can also see right into the kitchen. Trees are helping with the balcony issue, and I’m not sure we’ll ever care enough to do something about the kitchen. Still, it’s weird to have someone looking in on me while I cook, or to have the occasional kid shouting “waiguoren!” at me from the sidewalk. Just think – if you live on the 5th, 6th, or 7th floors, you get to do a Stairmaster workout every single time you come home! Yes, that’s right folks! Every. Single. Time. I know friends who wait months and months for a 2nd or 3rd story apartment to become available, and I also have friends who would never consider anything below the 4th floor. I suppose it just depends on which issues are most important to you. And how toned you want your quads and glutes to be. For us, this is what we’ve got for now, and I will continue to treasure that short walk up while I can! 7th floor walk up here! Another great thing about 7th is that it’s the top floor in our bldg and we have cell coverage everywhere! No huddling in the window for me! Yess! But, it is a beast when you have a cranky child and an overblown imagination for just how much stuff you should have bought at the grocery store. Yes, it all fit on my scooter, but looking up from ground level with three heavy bags is rather daunting.